s you might have known, I am absolutely a collector who will wander around in the mall and find new, pretty things to fall in love with. 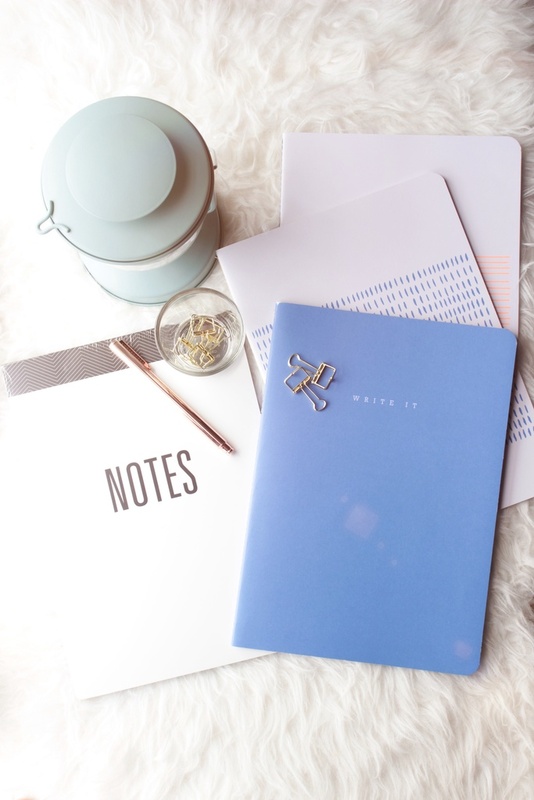 Recently I have entered this shop in the mall called Kikki.K, and this shop overwhelms me. This shop mainly sells stationary, not ordinary ones but those that are well-designed and user-friendly. 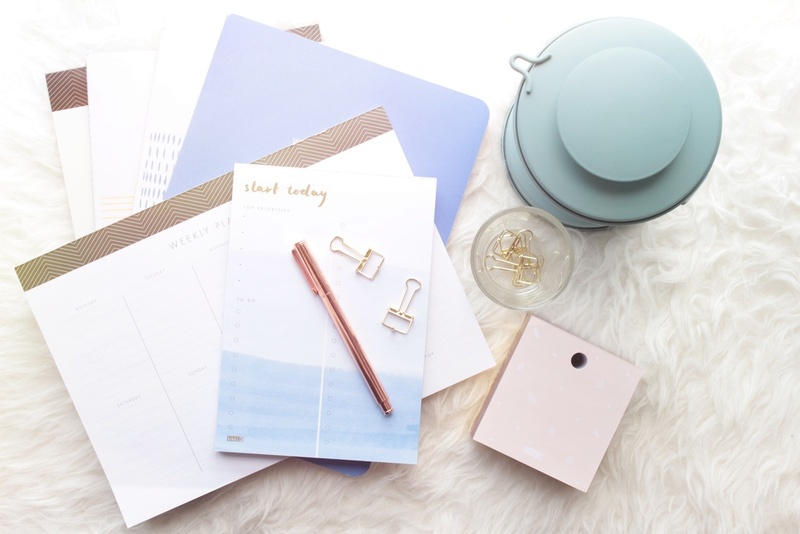 The few products from their shop I highly recommend are the calendars (which comes in leather holder and is absolutely professional-looking), to-do lists, notebooks and some of their pens. 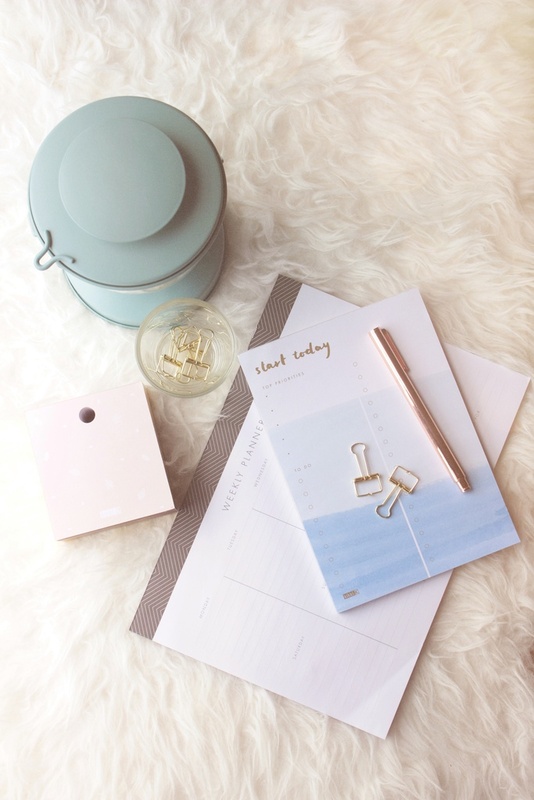 I have bought basically everything I have mentioned above expect the calendar, I absolutely love it and let me tell you, their calendars are really multi-functional, sadly I have already bought my traveler's notebook which it contains a leather calendar, so I wouldn't be needing that. But if you are reading this post and you need a new calendar or planner, you should really grab one from Kikki.K, because their planners and holders never disappoint. This is not even a sponsored post, but I am absolutely loving their products, and this is why I am sharing it with you. Another thing I love about their products is their beautiful designs. I am absolutely loving their to-do lists, or any kind of lists they have. They are absolutely user-friendly, and the outlooks of them are glorifying. I have bought a weekly planner in black and white color, it shows columns for different days of the weeks; this list allows me to plan everything I have to do in the week, so things got a little tidier. Another list I have bought is the blue ombre to-do list you can see on the photo, it contains two columns with a section of "top priorities". I love how they sections their to-do lists because this allows me to plan my work in a tidier way,also helps to improve the efficiency of the working process. At last, the most unique product they have is the notepad cube. You can see from the photo, I bought a notepad cube in orange-rose color, which is one of their signature edition. This notepad cube has golden rims on each page, so when you look at it horizontally, it basically looks like a brick of gold, which is incredibly beautiful. This notepad cube also comes with a hole for a pen stand. As you can see, the designs of their products are really simple, if you are looking for something simple, this is definitely a go for you. I bought the three notebooks together in a pack during a sale, which is inexpensive when it is equally divided among the three. I also bought the flip-over notebook which is in black and white color and comes with both horizontal and vertical versions. This notebook can be place together in the leather planner case. I did not use this with the planner, just individual use as I love the design of it, I also love how you can always rip the pages off from the notebook. I have chosen the ones which does not contain any lines, because I love blank pages, it allows me to sketch or write or do whatever I like on the page without any boundaries. However, this is the main product I highly recommend you all to buy. 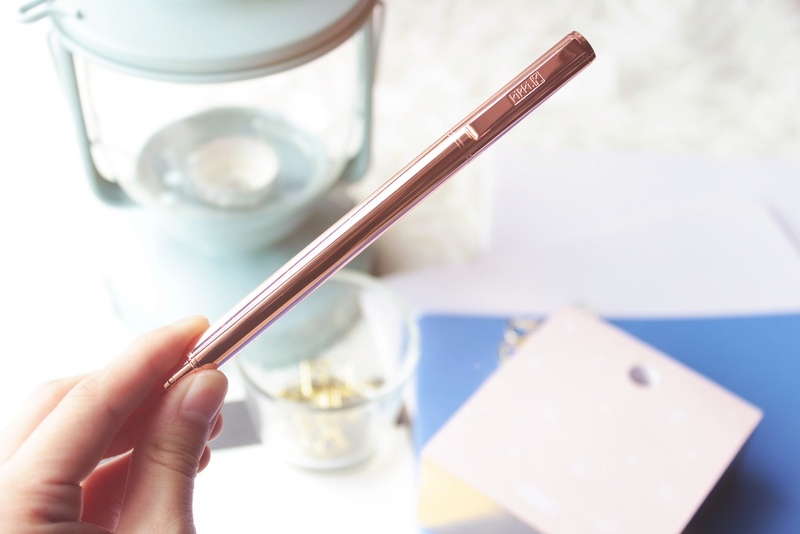 It is a rosegold pen from the brand, which is a limited edition. I would not say it is officially limited edition, but after I bough it when it was out, it is pretty much sold out everywhere, so I would way grab it while you can. This rosegold pen is captivating, the moment I saw it, I know I have to own it, and I did. What is so amazing about this pen is this is not just one of those pen who only looks good on the outside, but it actually writes smoothly. I am really amazed by it as it is not those ordinary ball-point pen, which are horrible, this is a pen with gel ink, and even comes with refills. Their refills are wrapped in a box, each box contains 2 refills. I bought the pen in black color because I personally love black color pen, and also a box of refill as I cannot stop using it. This is the pen I will highly recommend to use it at your work or put it in the pocket of your suit, it does not only look classy and professional, it writes perfectly as well. If you really want to buy this pen but it is not available in the shop (it is really popular and hardly available right now), I will recommend you to buy the gold one, it is the same collection but the whole pen is in gold color. I love the one in gold as well, and I am thinking about buying one as it is really beautiful. I hope you enjoy the products I recommend from this brand, and I hope you have fun reading this post. If you have any suggestions of other product reviews or any other similar brands you think I might like, be sure to comment down below in the comment box. You may also checkout my recent reviews on the Danielle Wellington watches right here.